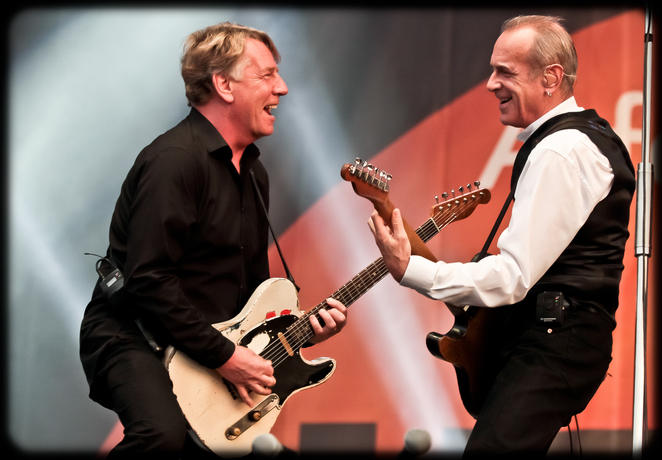 They are known as one of the hardest working band around and 2014 is set to be another busy year for Status Quo. The classic line-up of Francis Rossi, Rick Parfitt, Alan Lancaster and John Coghlan is reuniting for one final tour, while the current Quo incarnation of Rossi, Parfitt, John 'Rhino' Edwards, Andy Bown and Leon Cave has just announced the UK dates for the pre-Christmas shows. In addition, they are playing the Download rock festival at Donington Park on June 14. 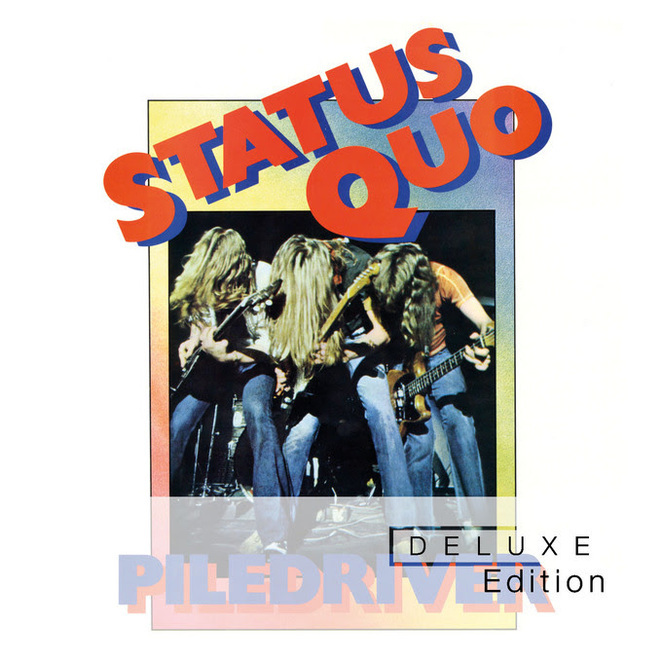 Just to make things more interesting Quo's classic 1972 album, Piledriver, which reached number five in the British charts, is being re-released as a deluxe edition and a special Quo beer has been launched by Wychwood Brewery. The 'Frantic Four', as the classic Quo line-up is known, tours the UK from March 28, playing Wolverhampton Civic Hall on April 3 and 10. Expect tracks from Piledriver, Quo's first album the Vertigo label, to be among those played. The album, which contains concert favourites like Don't Waste My Time, Big Fat Mama, Paper Plane and Bye Bye Johnny is reissued on March 24. As well as the remastered original record the deluxe edition includes a second disc of live performances and radio sessions. The 15 bonus tracks feature songs from the band's Peel Sessions recorded on November 20, 1972 and January 9, 1973 plus a BBC 'In Concert' performance recorded at the Paris Theatre in London on March 1, 1973. The extra tracks are: 1. Don't Waste My Time/ 2. Oh Baby/ 3. Unspoken Words/ 4. Paper Plane/ 5. Softer Ride (all from the 1972 Peel Session)/ 6. Paper Plane/ 7. Don't Waste My Time (both from the 1973 Peel Session)/ 8. Junior's Wailing/ 9. Someone's Learning/ 10. In My Chair/ 11. Railroad/ 12. Don't Waste My Time/ 13. Paper Plane/ 14. Roadhouse Blues/ 15. Bye Bye Johnny (all from 1973 BBC In Concert). To coincide with the album reissue Quo have teamed up with the Wychwood Brewery to launch their own special Piledriver beer. Described as 'a traditional malty amber ale balanced with a bold fruity hop character', the 4.3% Piledriver is on sale at J D Wetherspoon pubs. 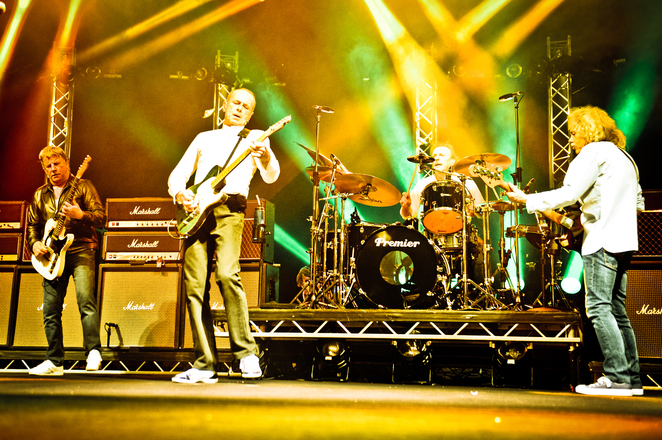 Quo frontman Francis Rossi says, "Music and beer go well together! Anyone denying that has never been to a gig - and certainly not a Quo show. We wanted to create something special for the fans, and us of course, to enjoy. Piledriver is it." 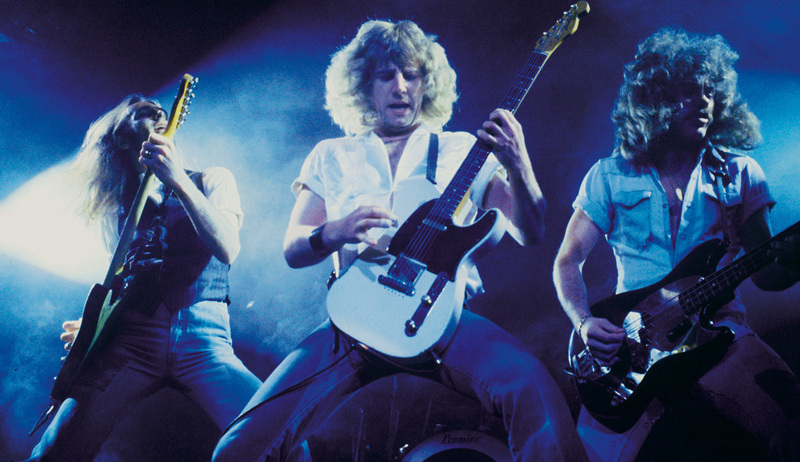 Guitarist Rick Parfitt adds, "Piledriver is renowned as one of those albums where it all went right: the chemistry was perfect and the fun flowed. Wychwood Brewery has helped us create a beer with the same ethos - and a huge gorilla as a truly arresting logo!" Jeff Drew, head brewer at Wychwood Brewery, says, "It has been great to work with Status Quo on this. We wanted to create something interesting that had a malty, hoppy bitter flavour, but wasn't too strong or too sweet. 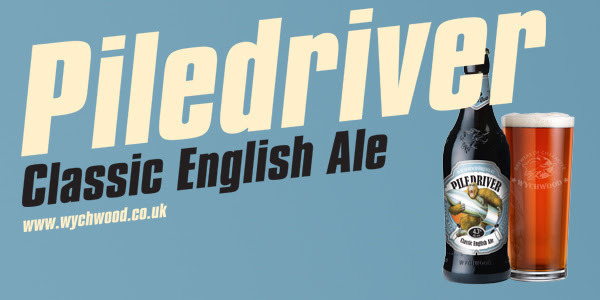 The result is Piledriver - a classic English beer for a classic English band." Following the Frantic Four's final show, in Dublin, on April 12 the current Quo line-up resume duties with one of the highlights of the summer an appearance at Download on June 14. It was 32 years ago that Status Quo headlined Donington's Monsters of Rock festival, an event that evolved into Download. 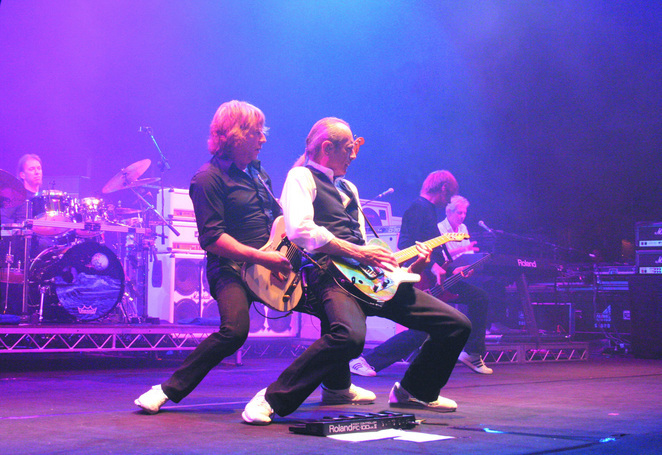 To complete a memorable year Quo play their traditional pre-Christmas UK tour from December 6 – 20. The dates include a debut at Birmingham NIA on December 13, a move from their usual Brum venue, the NEC. Tickets are on sale from March 28.